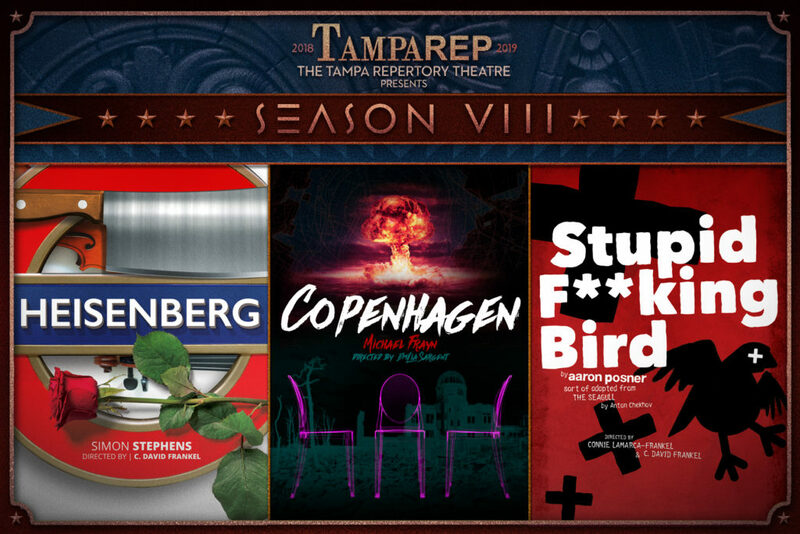 TampaRep Earns Multiple Best of the Bay Awards! In 2017, we were honored to earn two Best of the Bay Critics’ Choice Awards for Emilia Sargent’s performance in Grounded and for Artistic Director C. David Frankel as Best Director. This year we’ve been honored again, with Critics Picks awards for all our productions: Sheila Cowley (Best Playwright), Becca McCoy (Best Actress), and Justin Smith (Best Actor New-to-Us) for Flying; TR Roberts (Best New Actor) for Gnit; and Ned Averill-Snell (Best Actor in an American Classic) for A View from the Bridge — and A View from the Bridge received an award as Best Modern Classic! Thanks, Creative Loafing for recognizing the work we do. We’re off to another a great year after our critically- and audience-acclaimed production of Heisenberg. Next up, Copenhagen, directed by Emilia Sargent, opening Jan. 4, 2019. Get ready for more innovative, provocative, and classic theatre from TampaRep! Get more flexibility with FlexPass — the Regular (6 punches) or the FlexPass Mini (3 punches). Use your FlexPass any way you like: come to one show multiple times, bring many people to one show, or bring someone new each time you come to TampaRep. It’s theatre going your way. A TampaRep shoutout to Greg Thompson, Matt Frankel, Ryan Bernier, Sarah Pullman-Atanacio, and the rest of the Much Ado About Nothing company. Break leg!